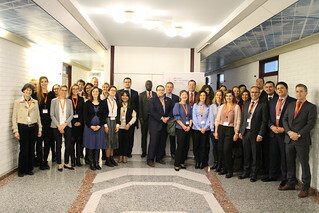 This capacity building workshop being held in conjonction with the Austrian BWB explores various ways that competition agencies use in order to improve their cartel detection record and case management in large cartel investigations (e.g. bid rigging cases), with a special emphasis on case, team and evidence management. The workshop is organised in three sessions, devoted to the different phases of the enforcement process: the detection and screening phase, the investigation phase, and the closing of the case. The objective is to provide training by fostering the exchange of experience and ideas between competition authorities’ staff members with significant first-hand experience in cartel investigations. Materials will soon become available on this page. The workshop is open to government officials upon invitation only. Registration has been directly handled by the BWB. Any questions related to the scope of the workshop should be sent to Cristina Volpin and Sabine Zigelski.